STANMECH Air Knives & Custom Heat Tunnels - Manufacturing - STANMECH Technologies Inc.
STANMECH's custom air knives, nozzles, and heat tunnels are designed to individual customer specifications. We can replicate an existing item, recommend design improvements, or engineer a completely new air knife, nozzle, or tunnel. We offer design and testing services to help ensure you get a product that gives you exceptional results. Our custom air knives can be used in conjunction with our high-flow air heaters or on their own with a blower. Whether using heated or ambient air, our air knives provide excellent blow-off power for any application involving liquids or solids. 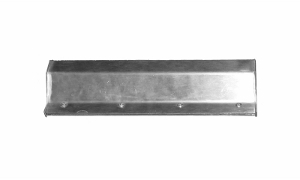 Designed and built to best suit your application, our air knives are available in a range of shapes, sizes, lengths, and inlet diameters. Fixed or adjustable blade gaps are also available. 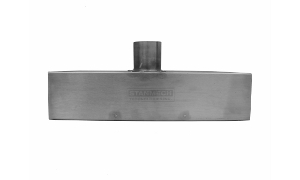 STANMECH custom nozzles are perfect for process heat applications where an “off-the-shelf” solution will not work. Whatever the temperature profile required for your application, we will design, test, and modify the design, if necessary, to ensure that the final product meets your expectations. Heat tunnels work best when they have been tailored to the shape, size, and material of their target. 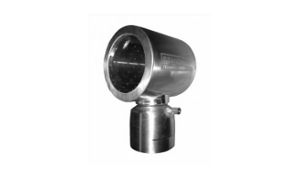 We use our extensive experience to design heat tunnels that precisely apply the heat where it is required, yielding an efficient and effective solution.